Quality and workmanship...enjoy the opulence of long ago with spectacular woodwork, leaded stained glass, beamed ceilings, gracious and spacious living awaits you in the Reynolds-Secor Mansion with Victorian and Arts and Crafts influence...three floors of unbelievable living space and a two stroy carriage house. Wow. Love this house. Rip out carpet. Restore kitchen. What is the rainbow stuff around the tub? If I could offer a guess. The ‘rainbow’ stuff around the tub was an effort to box in the original claw foot tub in an effort to modernize the appearance. I had a relative who did that to their old cast iron, claw foot tub. The results looked much like that is the above picture. It is the original porcelain tub, not a modification of ball/claw tub. The house has ball and claw tubs, including the hard to find 4″ and 6″ variants, and it has a couple of these later Edwardian era tubs. Someone painted the porcelain on the two tubs of this particular model and era. The Victorian ones are all white throughout the house. Well, I never ever thought I would say it, but I am moving to Toledo! Among the many many things which astonish about this pile, is the three-story carriage house to the rear! Bigger than the houses of most people! I know nothing about the city, but assume that Collingwood was was THE neighborhood of the very wealthy. Today, many fine homes remain, but the neighborhood fabric has been badly torn by ugly multi-story buildings, seas of asphalt around some of the extant mansions (the mansion right next door is literally surrounded by asphalt), huge parking lots, and other atrocities. Old photos of the area. 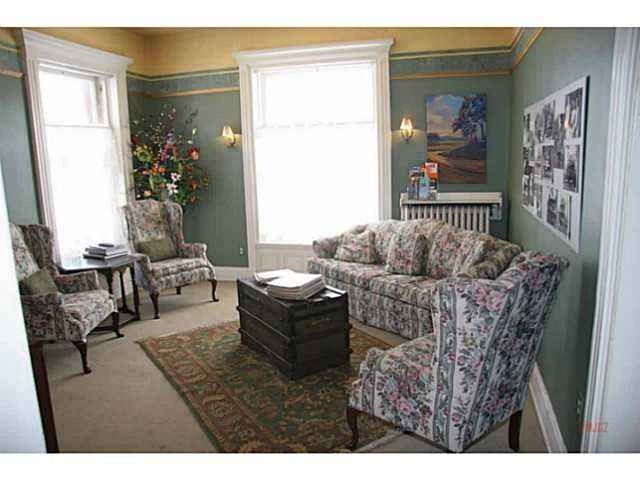 You can also find old photos of this house. I wonder what happened with the original dormers? Kelly! I love you! Great links! When people click the second link, make sure to also go to the next page. There are more images of 2035. Kelly, the original two front dormers were replaced early on, as can be seen on page 2 of the link you provided. The first image shows the original dormers, the second image the new dormers. Would love to know the dormer story! Also, it is SO nice seeing all the trim NOT white!!!!!! The house is just so much more elegant. Did you check out the reference links in the post? There’s also a link to a virtual tour of the place. Interestingly, the mansion is owned by the Old West End Association. Wonder why they are selling? Honey, I’m home! Oh my gosh, what a house – inside and out. That woodwork is so awesome that I can’t stop looking at it. Although there are a few atrocities like can lights and w2w carpet (why, why, why? ), this one makes me want to run out and buy that lottery ticket. Just getting to furnish this would be my heaven! Magnificent! And I must say, I am a bit shocked at the price. I would have expected this to be so much more with the craftsmanship. Just beautiful! 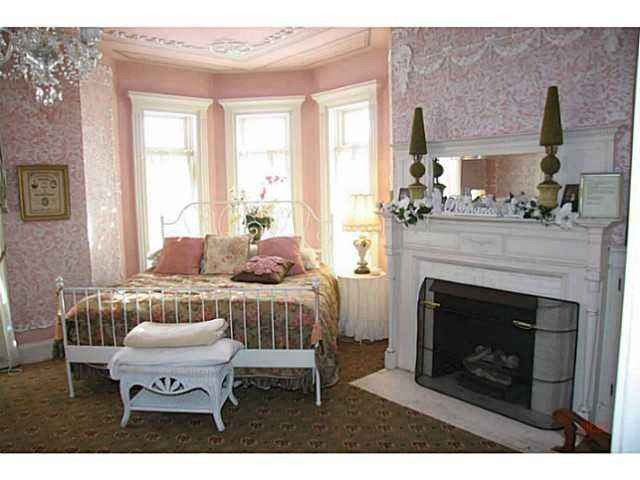 This home once operated as the Mansion View Inn Bed & Breakfast and my husband and I stayed there in 2009. Although the website is still active, a peripheral site lists it as closed. 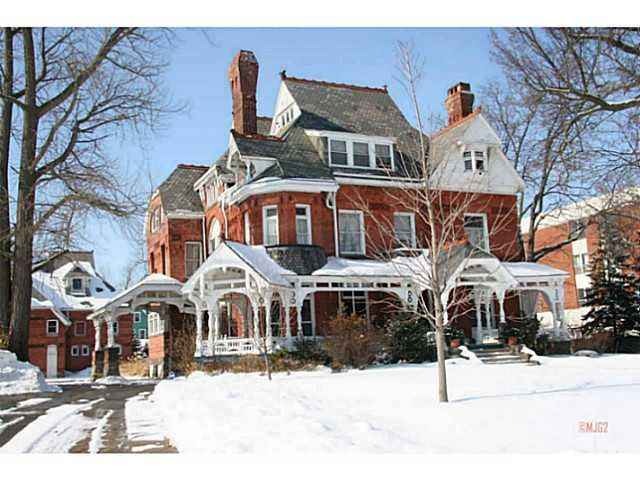 Like Detroit, Toledo was once a booming area and the Old West End featured many homes of this caliber. Sadly too many were lost to demolition. I’m afraid if I show this to my husband, we’ll be moving to Toledo and running a B&B!! Terrific house. I love the exterior massing. Looking at the Streetview, the street retains a good sense of a large and prosperous residential street, though with some unfortunate intrusions. It was much better than I expected. Ohio really does give away its historic houses it seems. A mighty pile indeed. There’s enough fine hardwoods used in the millwork to set up a furniture factory or fill up several boxcars. But back when this house was built, a conspicuous display of wealth was considered acceptable and the wealthy owners often did. I won’t debate the pricing, but similar size homes in far less pristine condition can still be bought in Toledo for a fraction of this amount. It surely is at the high end of Toledo’s old house market but no argument that in some communities it would be priced far higher. Contrast this house with the early 1900’s Chateauesque/Queen Anne West End house (a foreclosure under $70k) ) that was featured on OHD and offered for a pittance some months ago; understandably, it quickly sold. Toledo, like many other older industrial communities in the Midwest, has been heavy on blight abatement demolitions in recent years (a phenomenon especially pervasive in the Buckeye state) but it still has older residential areas cohesive enough to make them attractive for restorers and old house lovers. If one can cover the winter heating bills and annual property taxes, here’s a palace available for less than the average new McMansion in the ‘burbs. Ok, so I was literally just on tripadvisor two days ago looking for a little getaway for me and the hubby when I came across this gorgeous B&B. We’re not far from Toledo so it seemed perfect. But imagine my surprise when I come to this site and see that it’s for sale! Hmmm…well I didn’t win the mega millions last night but if I do, I’m snatching this beauty right up! You guys can visit anytime though lol 🙂 Seriously though, I hope whoever buys it takes care of it! 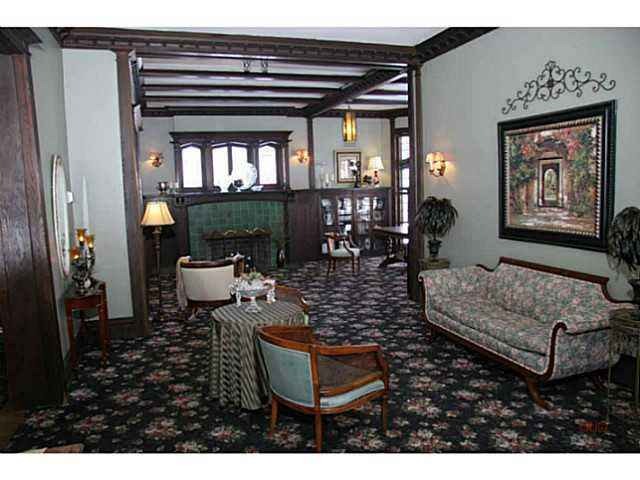 We may be looking at this house soon as it appears a job offer is possibly coming for me in the Toledo area! We are trying to get all the info we can. The carriage house does intrigue us. No pictures from all the research we are doing. An OHD reader did grab it. This home was most recently a bed and breakfast type conference center. fortunately they kept it looking like a single-family resident. It is one of the few historical homes that have been fully restored in this neighborhood. 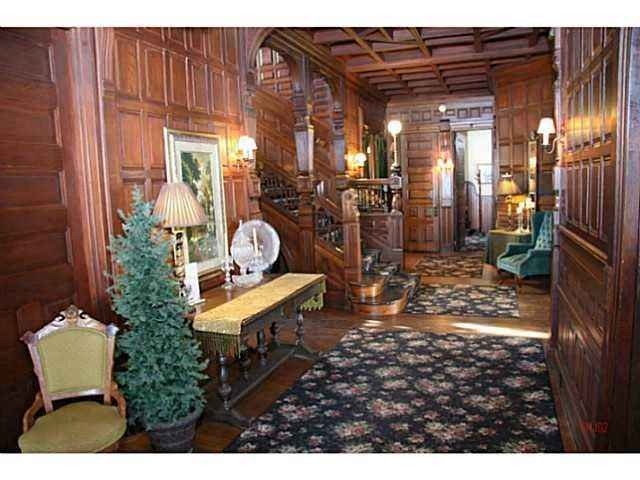 With one of the largest collections of Victorian and Edwardian homes in the United States very few are cared for. What you can’t see from this picture is that the home now sits amongst federally subsidized apartment buildings and is surrounded by concrete.sadly so many of the homes in this area even having been restored are still in a terrible neighborhood area. I lived there in 1971 when it was divided into apartments. My studio was on the second floor, where the angled bed is located. 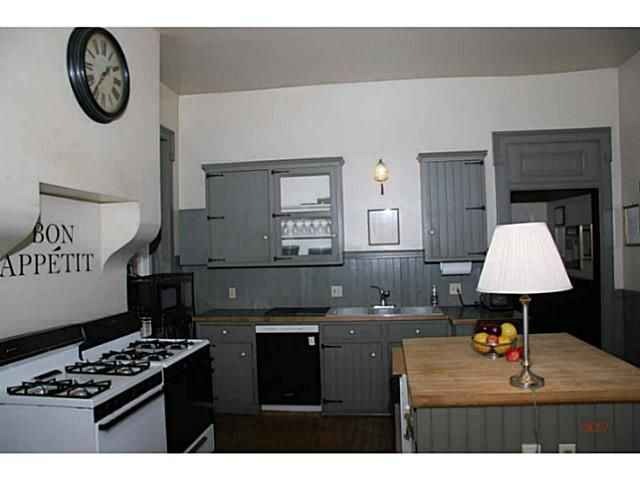 There was a small kitchen with an antique gas stove and a fire escape. It was a pretty cool house. I don’t remember the porch, though. Of course, it was 40+years ago! Happy to see it was all restored. I lived and worked in Toledo for many years. 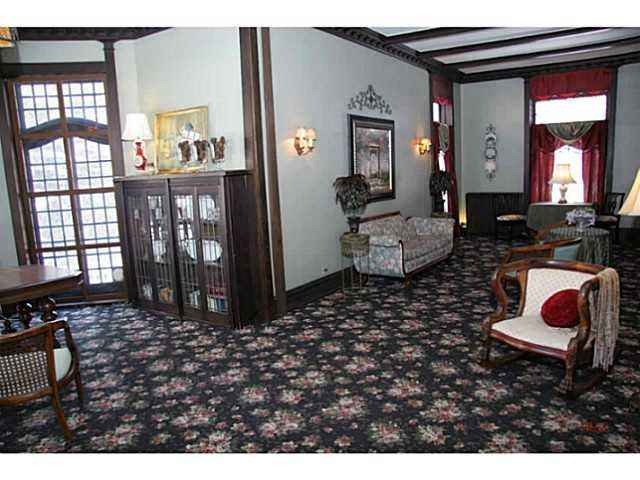 I loved the old West End and it was a dream of mine to own one of these homes! Wonder if St V’s needs a nursing director for the ED? 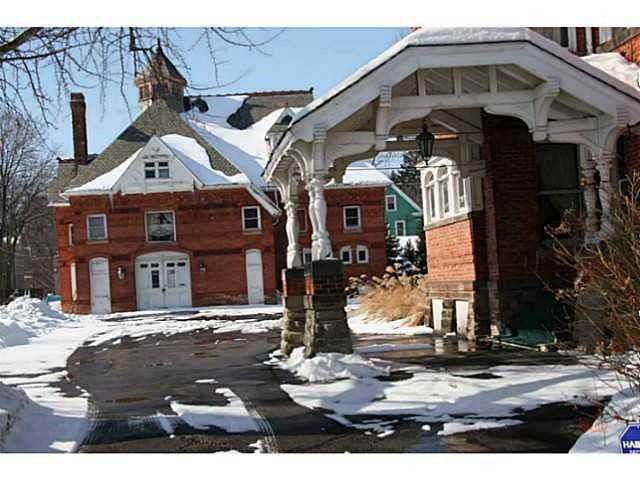 I have photos of the carriage house both outside and inside. It needs some gutters and work on the valleys of the roof. There are spots you can see the sky from the inside. Lots of possibilities and very cool. Hi Chilly, Would you perhaps have an album posted online to view these photos? 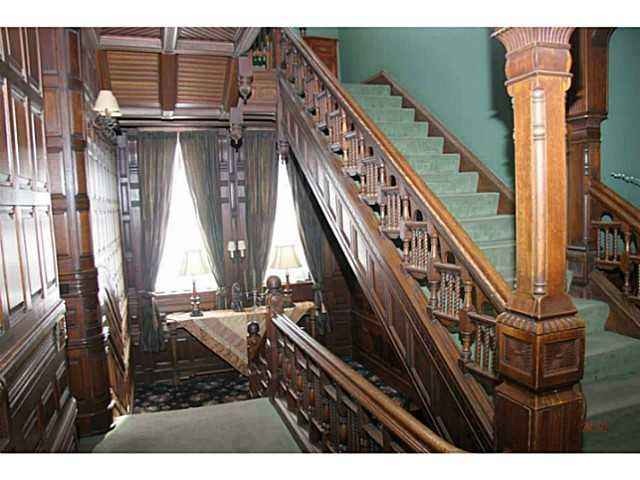 I’m disappointed to learn the house hasn’t sold yet considering it’s a bona fide grand Victorian mansion. 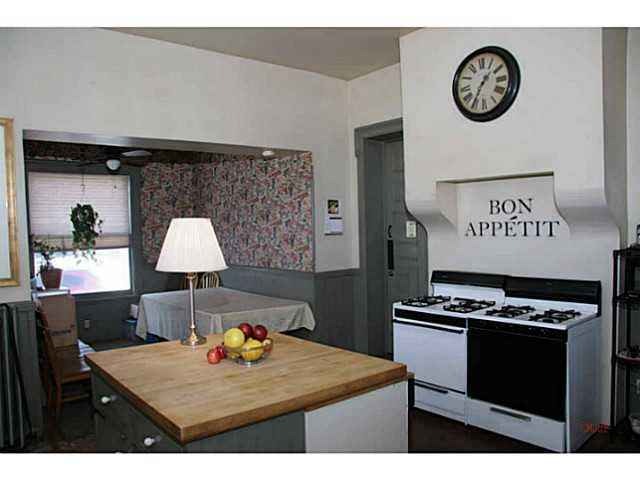 In a community where such homes have high values, this would sell for over a million dollars. I will post the pic of the bathroom toilet that I need you to clean, but you can start with the windows in the pictures. Well, I am now even more astonished! To my surprise, there were not 2, not 3, but 7 pocket doors, 6 on the main floor and one for the master bedroom leading to the master bath. One set appears to be in the permanently closed position because someone tried to close off the traditional receiving room (with the piano) from the side hallway that leads to the horse/carriage covered entrance. Made me sad and want to vomit. It is the only remnant remaining of when it was used as a multi-family home with apartments. The rest has been restored back to its original floor plan. The dry wall just needs to come down and the bathroom that is off of the receiving room either altered to allow that closed set of pocket doors to function again or have the modern bathroom removed completely. 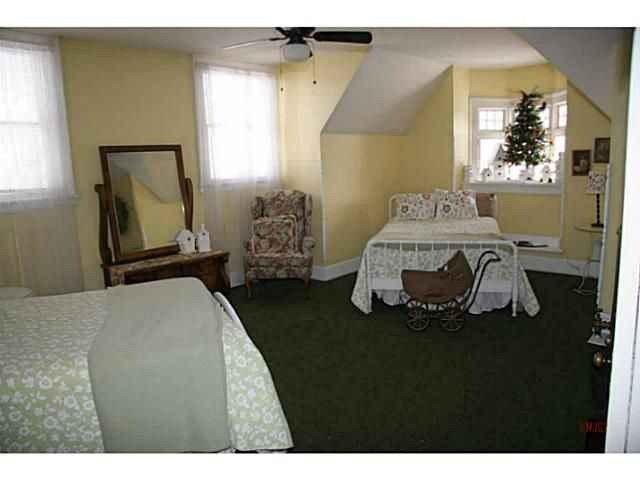 The original bathroom on the first floor has no pictures online. 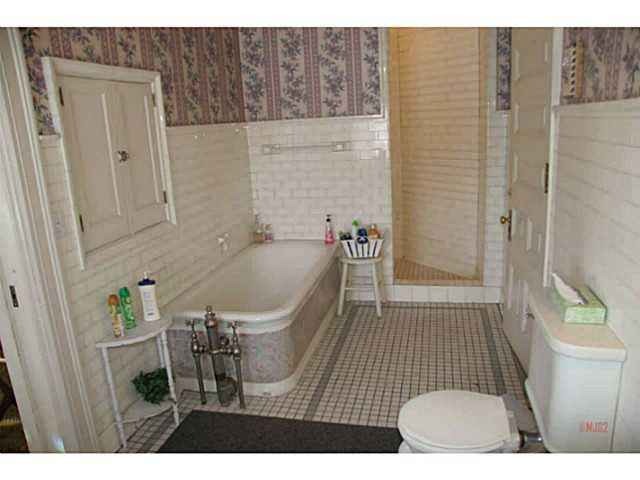 It is beautiful and old with original marble sink and elevated toilet tank… just the way it should be. The two largest sets of pocket doors (and probably most ornate) are closed up, each hidden behind a thin wooden veneer of the archway. Probably in pristine condition. You can knock on the archways and hear the hollow tympanic percussion behind the massive walls. Makes your heart pump at the thought of releasing these doors from their grim wooden prison. The pictures online do not capture the craftsmanship of the home inside and out. The architectural brick details are a ‘show’. Do you know if the upper level use to be a ballroom? from the outside photos it looks like it could of been. 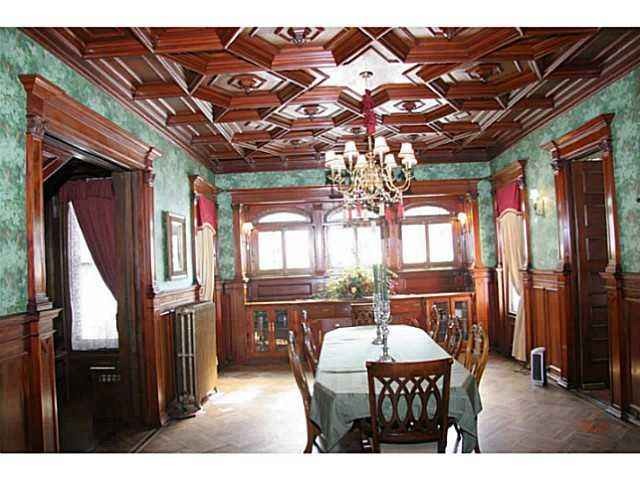 I’m always interested in that, because I have always wanted a home with a ballroom. There is a painted sky ceiling on the 3rd level, which is not the original, and there is an internal wall window on the 3rd floor. It turns out the original roof (covering the sky ceiling) over part of the 3rd floor was a large glass conservatory that let it in light to the 3rd story and the entire stairway and hence the 2nd floor. Also explains the reason for the internal wall on the 3rd floor with a large window in the middle of it. It makes for a very interesting layout for the 3rd floor. 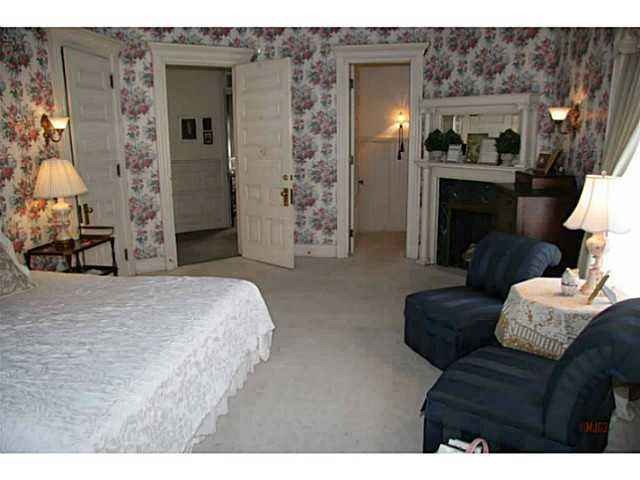 Not sure if there was a ballroom that was changed to bedrooms/bathrooms in the later years. There very well could have been but the changes in the roof on the back side and the dormers on the front of the home, which occured after the house was built, happened early (before 1910) and so it is very hard to tell. 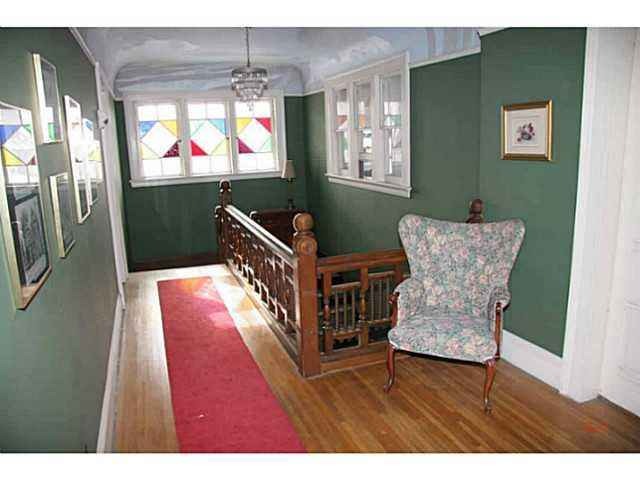 The doors on the 3rd floor are of the same vintage and original to the rest of the home. There are spare doors and such in storage which don’t seem to go to anything and they have the same details as the ones currently in the home … probably for the original 3rd floor layout. 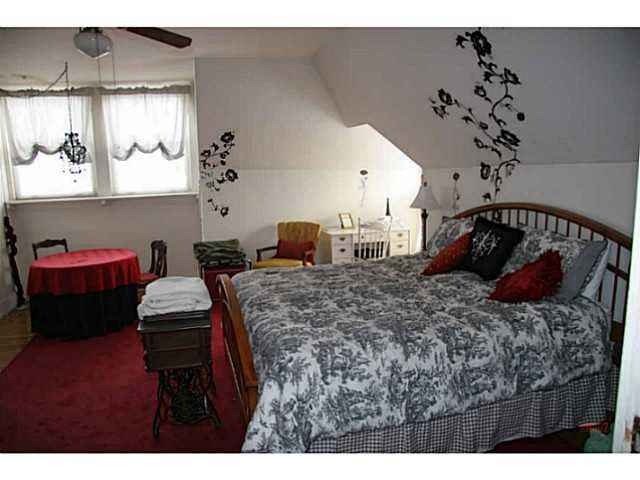 There is also a 4th floor attic that you can stand up in with exterior windows. I would have to say that it is well planned out by the architect E.O. Fallis. I have to disagree with the earlier posts that it was a haphazard design with no plan. Other findings … There was a fire in the room with the exposed beams (around 1912 or so). 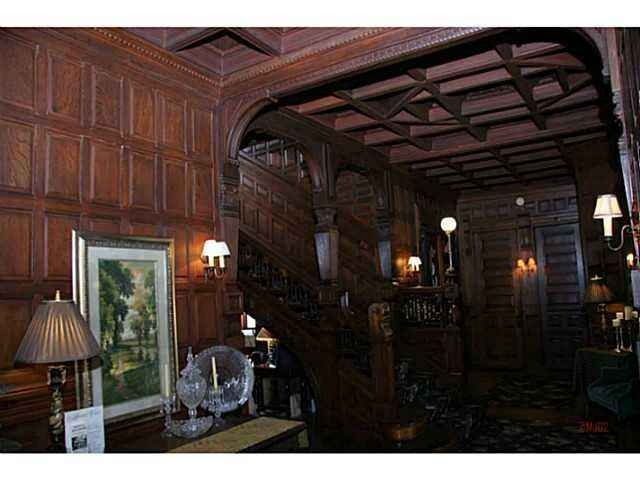 Apparently that walls in that room were all finished with wood (walnut) like the foyer (which is mahogany), and the wood panels are still there. Such history. As per the listing, the property is pending so it just hasn’t closed yet. Lets hope the new owners will give it a ton of love! Email server problems tonight. There were some new replies so if you did not receive a notification from this post and want to read the new comments, come read them. Sorry, I hope everything is fixed now (crossing fingers.) Check your spam folders in your email account, I did end up there for some. As per Realtor.com, this house has now sold. 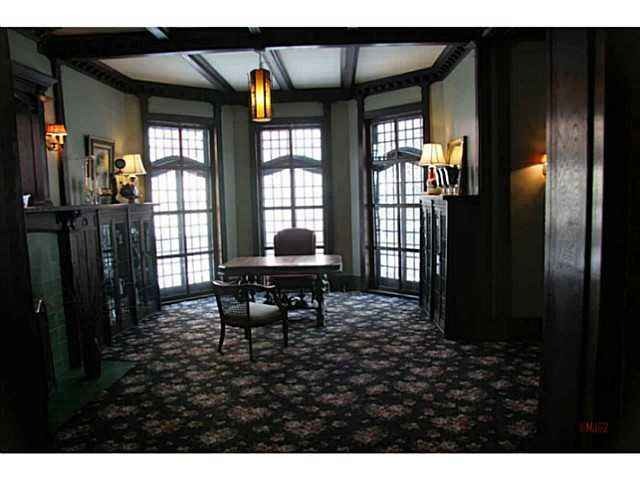 I am eager to see what the final sales price was as it was a beautiful house! Here is an article on the house. It sold for $235K as per article. A real beauty..and deal! Thanks for the update. 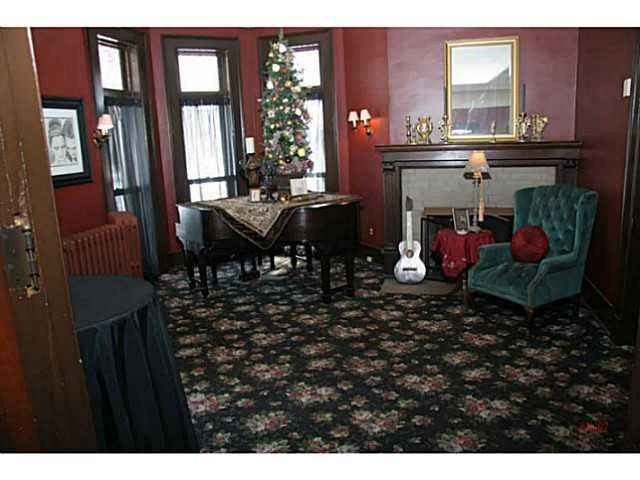 Nice hearing some of the original furniture will be staying with the house. I wish the new owners the best of luck. As I understand it, the person who bought this beauty is a subscriber to this site. A great house! Thanks to MattZ, I posted a (demolished) twin in today’s link exchange.